The Meaning Of Marriage is based on a highly acclaimed sermon series preached at Redeemer Presbyterian Church in New York City, New York. 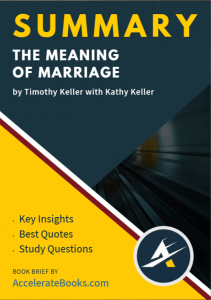 Keller’s aim is to present a biblical view of marriage that is accessible to people from all backgrounds and worldviews. His chief aim is to take some of the most popular views of marriage, singleness, and dating and present how the Bible corrects these mistaken notions that people have about marriage, its permanence, and how it ultimately glorifies God. Ultimately, God gives humanity a far greater scope for singleness, marriage, and relationships than the world could ever invent or improve upon. Keller, married for thirty-six years at the time of publication, brings his wife along to show how a biblical view of marriage has profoundly shaped their lives. As a book on marriage, it is obviously written for married couples whether they are doing well or struggling. It is also a very helpful book for singles who are seeking to prepare themselves for marriage. It is also written for the skeptic who thinks the biblical view of marriage is antiquated, oppressive, dull, and weak. 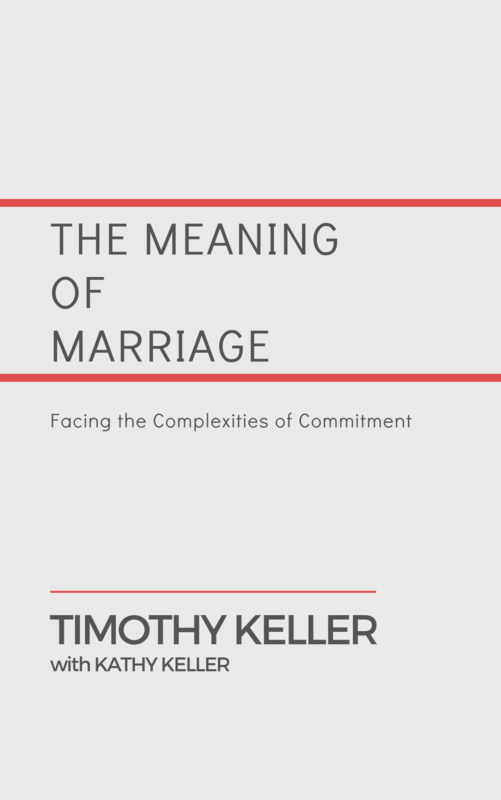 Keller presents great insight into the world’s view of marriage and how it fails to do justice to God’s view. Timothy Keller, married to Kathy for thirty-six years at the time of publication, planted Redeemer Presbyterian Church in New York City where he served as pastor until July 2017. A that time, Dr. Keller transitioned to City to City full time to teach and mentor church planters and seminary students through a joint venture with Reformed Theological Seminary’s (RTS), the City Ministry Program. He also works with CTC’s global affiliates to launch church planting movements. Dr. Keller was educated at Bucknell University, Gordon-Conwell Theological Seminary, and Westminster Theological Seminary. After serving at West Hopewell Presbyterian Church in Hopewell, VA, Dr. Keller planted Redeemer Presbyterian Church in New York City, New York. Kathy Keller was educated at Allegheny College and Gordon-Conwell Theological Seminary. She has served as wife to Dr. Tim Keller and mother to their three sons. Additionally, she is an author and has worked as the Assistant Director of Communications for Redeemer Presbyterian Church.